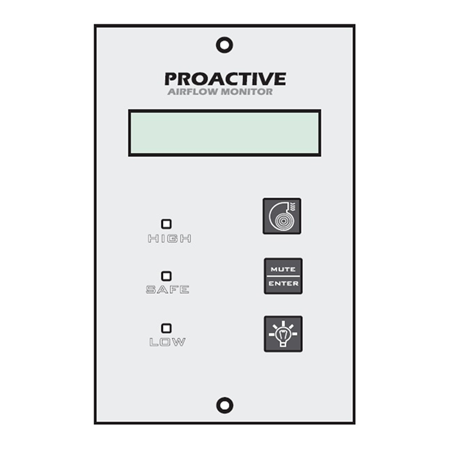 For use as a monitoring and alarm system for face velocities in various applications,such as fume hoods,safety cabinets and other extraction units. A bright screen for displaying actual values of face velocity. LED indicators for displaying mode of the face velocity. Optical display (green LED) for sufficient face velocity (safe operation). Yellow LED as an optical alarm for the operating status "Sash > 50cm". Plug for programming via the service module PC or laptop. Input Voltage 12VDC 1A max. All right Reserved � 2015 | Science By Design.